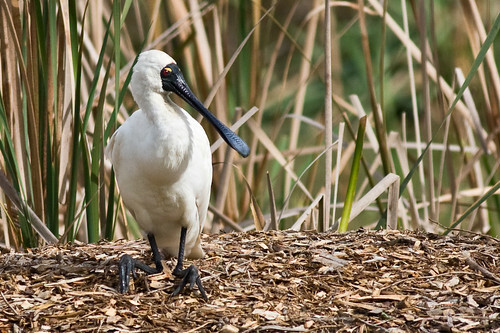 This morning I went to the Hunter Wetlands Centre, at Shortland, in Newcastle. 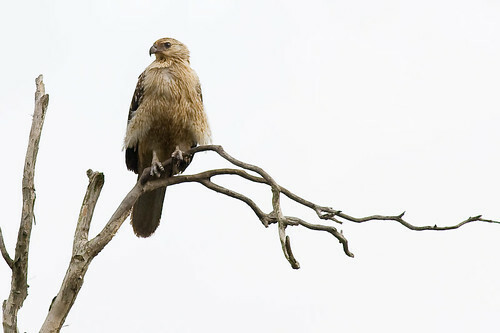 There are usually a few Whistling Kites around, and today was no exception. 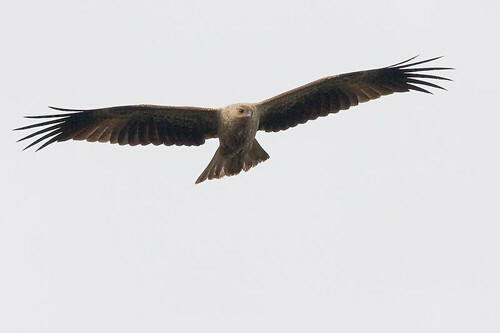 In my estimation there were four separate Whistling Kites there at the Wetlands Centre today. Its distribution is all over Australia, and also in New Guinea and New Caledonia. They are usually in pairs, and today I saw a pair circling and playing a game where they almost collided, then fly on around in the circle in opposite directions. 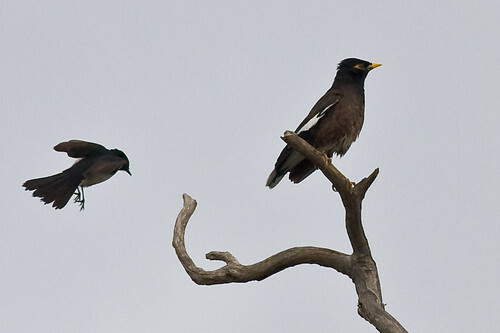 I am not sure if it was a courting display, just flirting, or siblings playing a game. 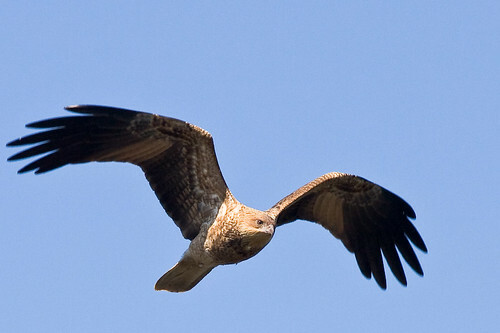 A distinguishing feature to identify the Whistling Kite is the soaring flight pattern. 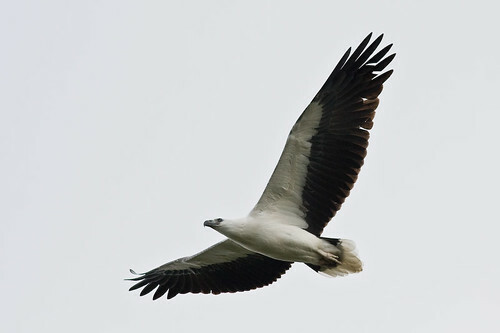 Its flight is buoyant and easy and it often soars to a great height. They feed on small mammals, birds, lizards, carrion, and insects. In lots of areas, rabbits are their chief prey. 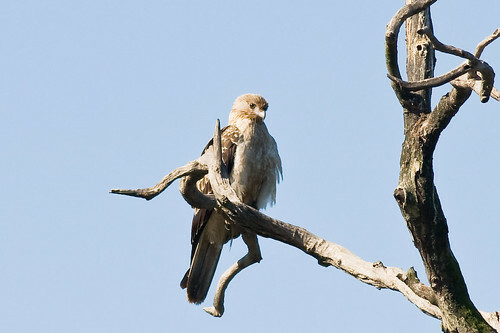 The habitat of the Whistling Kite is open woodlands, plains, streams, and swamps. They are also common around farmlands and roads where carrion can be found. They prefer tall trees for nesting, and the bulky nest platform is built of sticks up high, and sometimes can be re-used. The young stay with the parents after fledging for around two months. 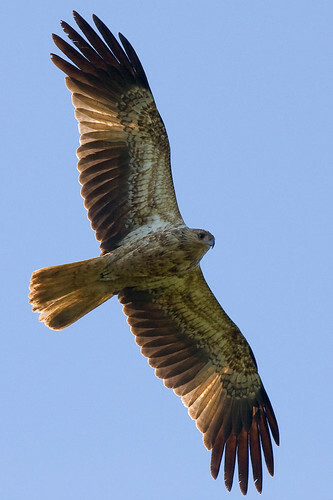 Another identifying feature for the Whistling Kite is the silhouette or how they hold their wings. 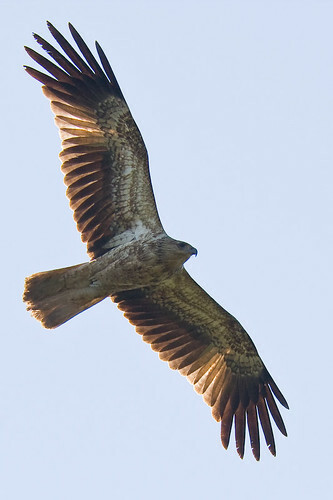 The Whistling Kite will hold its wings drooped in a glide. 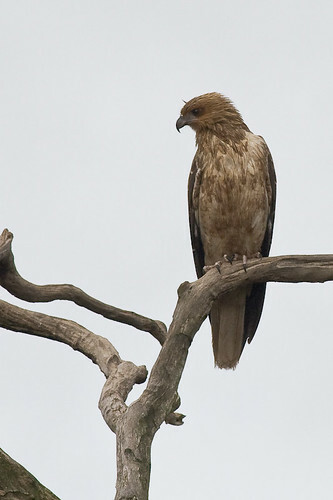 The third feature of the Whistling Kite that will help to identify it is the length of the tail. Typically, the tail will be about 3 times the length of the head, with a rounded end. 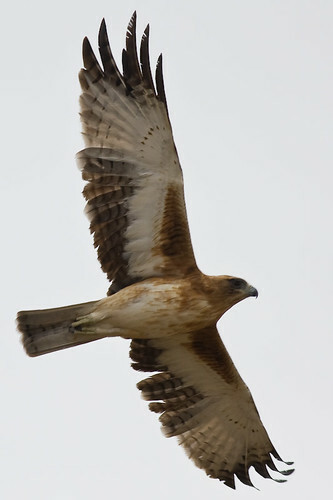 The most common raptor to be confused with the Whistling Kite is the Little Eagle, which has a shorter tail, and also a slightly different underwing pattern. 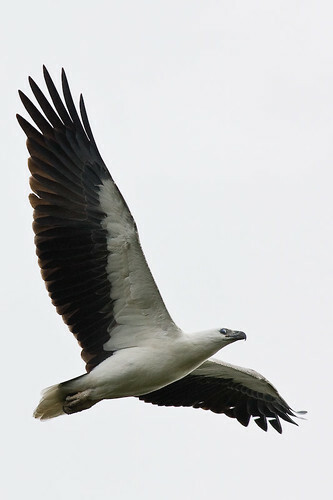 Here is a photo of a Little Eagle(Hieraaetus morphnoides) to compare the underwing pattern and the length of the tail. Note the brown at the leading edge of the underwing. And now back to the Whistling Kite for the last photo of a bird looking for something to eat. He has got his eyes intently on the ground, looking for a feed. 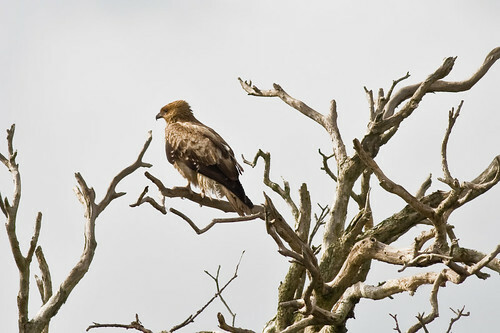 The Whistling Kite is of the Family: Accipitridae and Order: Falconiformes. N.W. Cayley, 1931, What Bird is That?, Angus & Robertson. Simpson & Day, Field Guide, ed 7.